Are you looking for a reliable fence installer to take on a project at your home in Waterloo, Illinois? If so, Chesley Fence & Deck is the perfect company to turn to. We ensure each customer we work with gets the most out of their investment in fencing by installing only premium-quality products that will last long into the future. As the premier fence installer serving Waterloo, IL, Chesley Fence & Deck offers a wide variety of products to suit the budgets, needs, and aesthetic preferences of any homeowner. For example, we offer cost-effective Premium Western Red Cedar, which has a warm, natural appearance and has superior resistance to warping and cracking. We also offer top-quality, American-made vinyl fencing that is more durable than the products used by most of our competitors and is backed by a lifetime guarantee. When you choose us to be your fence installer, you’ll not only benefit from our premium products, but also our commitment to upholding the best installation practices. 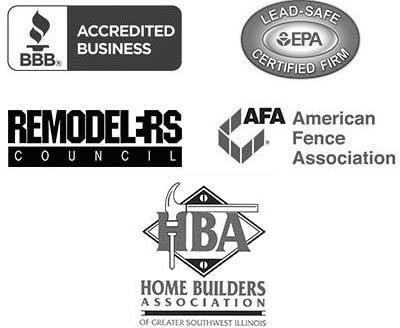 All of our installations are performed by our own employees – never subcontractors – who complete every fencing project according to our strict quality standards. 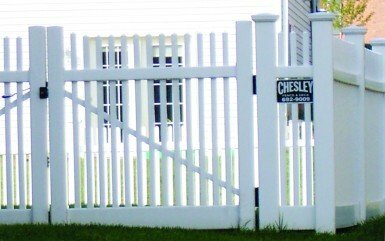 To learn more about the benefits of choosing Chesley Fence & Deck as your fence installer, contact us today. We’re proud to serve homeowners in Waterloo, IL, and all surrounding communities.